Legal Malpractice Insurance Lawyers, Attorney Liability Insurance Transportation Lawyers: aggressive comparison shopping to find you the broadest coverage at the best price. ‘A+’ insurers. Free quotes. 1-page application: download below or apply on-line. We’re Lawyers Insurance Group, legal malpractice insurance brokers and subject matter experts. The application asks when your firm was founded, so the insurers will know if your figures are projections, and they won’t penalize you if your projections turn out to be inaccurate. When your policy renews next year, you’ll have a year of data, and will be able to accurately report your practice areas. Note: a sole practitioner buying his or her first policy, who has no malpractice claims or disciplinary history, and doesn’t practice IP, securities, class action, or another type of law that the insurers regard as high-risk for claims, will likely pay an annual premium of $500 – $1,000 for minimum limits, which are $100,000 per claim/$300,000 aggregate. Criminal defense, immigration, and appellate lawyers will pay closer to $500, divorce and trusts & estates lawyers will pay closer to $750, and PI and real estate lawyers will pay closer to $1,000. A policy with the next level of limits – $250,000/$500,000 – will cost about 25% more, while a policy with limits of $1,000,000/$1,000,000, will cost about 75% more. A 2-attorney firm will pay about 70% more than a sole practitioner, and a 3-attorney firm will pay about 125% more. Add 10% – 20% to the figures above, if you’re located in an urban area like NYC, LA, Houston, or Miami, and subtract 10% – 20%, if you’re located in a rural area. Keep in mind that more than a dozen major insurers cover transportation law firms, and they compete fiercely for good risks. If your firm hasn’t incurred a claim in five or more years, and hasn’t shopped for competing quotes in two or more years, then one or more of those insurers will likely offer it much better terms than it currently has. AXIS, CNA, and Zurich usually offer the best terms to transportation law firms. We’ve obtained similar results for many other Transportation law firms. Can we do so for your firm? 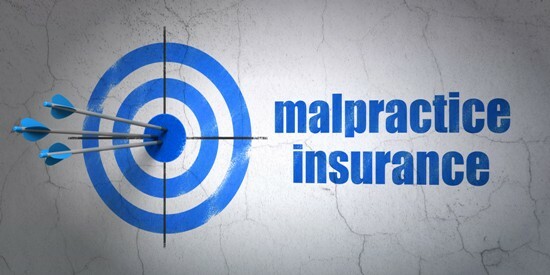 If you’re ready to get the best terms on your firm’s malpractice insurance, fill out our on-line application, or download, fill out, and return this one-page premium estimate form. It will give the insurers enough information about your practice to provide you with “ballpark” terms, without your having to complete a full application. or two page form that asks if your practice has changed in the last year), then send us that, instead of filling out the premium estimate form. • The premium estimate form contains a grid that requires you to allocate your firm’s last 12 months’ billings among its practice areas. Securities law, Tax law, and other practice areas that the insurers consider higher risk, require completion of a supplement. Attached to the premium estimate form is a page that contains the supplemental questions for Plaintiff’s Litigation, Real Estate law, Collections, and Mergers & Acquisitions. Download the supplement for other practice areas from our applications page, or send us the most recent supplement(s) that your firm completed for its current malpractice insurer.